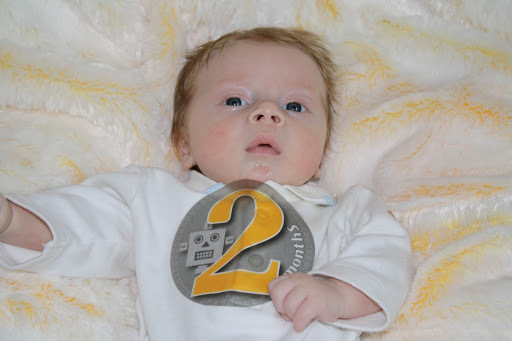 Grayson turned 2 months old yesterday! He is still a tiny peanut, weighing in right at 9 pounds, but he continues to take his one and only job of growing very seriously. Considering exactly 8 weeks ago he had gotten down to 4 pounds, 9 ounces, he is doing fantastic! 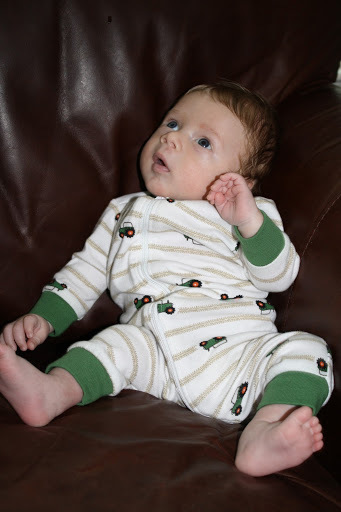 Sadly, I packed up most of his newborn clothes yesterday and he is wearing mostly 0-3 month clothes which looked so huge just a few short weeks ago. We are having a lot of fun hanging out at home, playing with friends, working, and visiting grandparents. Grayson has no shortage of people who love him. He is looking forward to his first Thanksgiving on Thursday. We will be having Thanksgiving dinner with Ryan’s family on Thursday and some of my family on Friday. 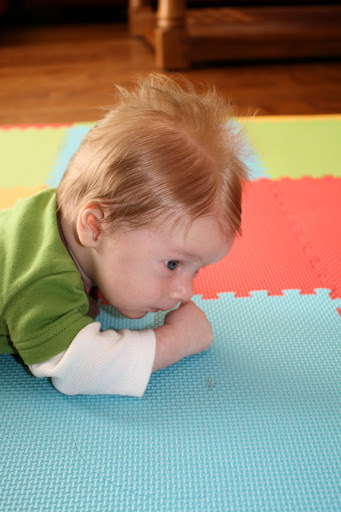 And then in just a few weeks his Aunt Rebecca will be home (yay for more fabulous pictures!) 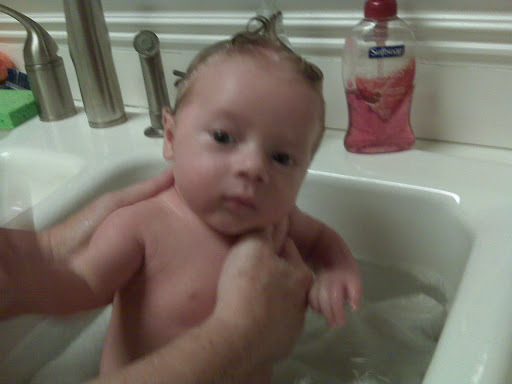 and then after that his other aunts and uncles on my side. We can’t wait for Christmas this year! Love the pics, he looks even bigger and more grown up then when we saw you a few weeks ago!! Hope you all have a wonderful Thanksgiving with your little acorn!